Ulrich Sayler & Associates strives to provide the absolute best Insurance Coverage experience for each and every customer. Providing you with the best options. Get our best car insurance quote. USA Insurance is Your Best Source for Insurance Coverage. We provide the savings you want and the protection you need! Our experts will help you pick the perfect policy that will suit your personal needs. An appropriate coverage will mitigate the impact of some of life’s most common, yet unforeseen hazards. 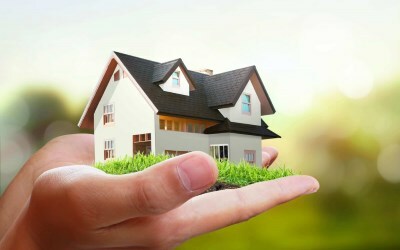 We are always available to assist when you are considering different insurance coverage, especially Home Insurance. USA Insurance offers Home Insurance that provides complete financial protection against any disaster in your home. A basic policy insures the entire home and the belongings included. Let USA Insurance help you secure the best auto insurance coverage that matches your individual needs and budget in Florida. Our competitive quotes ensure your safety and security on the go. Protect your business with an unbeatable Commercial Insurance policy brought to you by USA Insurance which includes Building and Liability Insurance sure to protect your assets. Let USA Insurance protect your personal property with a personalized Renters Insurance that fits both your needs and budget leaving you and your loved ones with peace of mind at all times. Whether you’re on the water or on a road trip, enjoy some fun with the family and friends knowing you are safe to enjoy the ride with Boat or RV Insurance. USA Insurance has you covered! Feel free to ride on the wild side and let loose knowing USA Insurance always has your back with personalized ATV Insurance sure to fit your needs and budget so you can ride safely! Your precious home is the largest purchase you will make in your life. After a home inspection, the next step of the home ownership journey is to obtain homeowners insurance. The process does not need to be overwhelming when you choose a trusted company like USA Insurance. Protect your home today by choosing USA! We offer protection not only for your home but for all of your valuable assets! At USA Insurance, we wish to build a lifetime relationship with you. That’s why we are suitably located in your locality. 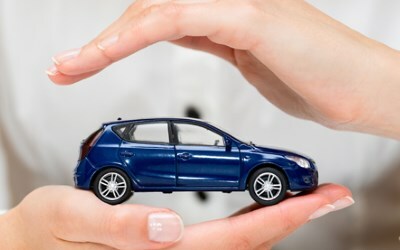 Auto or Car Insurance is designed to protect you against financial loss in the event of an accident. It’s a binding contract between you and the insurance firm. Let USA Insurance help you secure the best auto insurance coverage that matches your individual needs and budget in Florida today! We Offer the Savings You Want and The Protection You Need. Get Your Business Insured Today! Are you worried about uncertainty in your business or you are looking to protect your massive business tools and equipment? Rejoice! USA Insurance has you covered. You have worked hard to sustain your business and when you own and manage a business you have a lot to protect including your assets. Protection with Commercial Insurance coverage from USA Insurance which includes Building and Liability coverage will be one of the best decisions you will ever make. USA Insurance will ensure your continuous success is seamlessly guaranteed! We have been serving the insurance needs of businesses and other commercial entities in all areas in Florida since 2005, we are trusted! Reach out to us today for your free quote! Are you prepared should tragedy or natural disaster occur leaving you burdened with the process of replacing all of your valued possessions? Renters Insurance protects your belongings from theft and damage due to fires, flooding, and hurricane damage among other threats. It also protects you and your guests by providing liability coverage if someone is injured while in your rental. USA Insurance can efficiently evaluate your requirements so you can rest assured that you, your loved ones, and your valued possessions are safe! We offer the savings you want and the protection you need so don’t hesitate to call us for a free quote to get your Renters Insurance Policy started today! We all love our toys, but what happens when theft occurs or an accident happens and you are not prepared? Those toys we love can be gone in the blink of an eye. Accidents happen and at USA Insurance we understand that concept and want to be here to protect you and your loved ones. Call USA today so we can find a policy that fits your personal and financial needs and keeps you safe while you play! Give us a call or Request A Free Quote Today! Local Fire Protection: The number of fire hydrants and fire departments and the availability of water are some factors that determine your area’s fire protection class. If you reside in an area without fire protection, you will pay more for fire insurance. Renters insurance and homeowners insurance are similar – both protect your possessions – with one key difference. Homeowners insurance also protects the structure – the building itself. Renters insurance primarily covers belongings. You also generally get some liability coverage, but the policy doesn’t protect the apartment. The building’s landlord will have their own insurance to cover damage to the building. Renters insurance isn’t legally required. 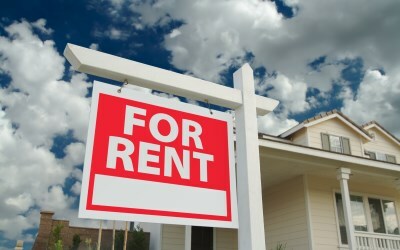 However, it’s not unusual for landlords to require renters insurance as a condition of signing a lease. They are allowed to do this, so when you’re filling out a rental application be ready to buy renters insurance if you haven’t already. In most states, some level of car insurance is required. The minimum amount of coverage may just be liability insurance, or it may include uninsured/underinsured motorist or additional medical coverage. Does my vehicle affect my car insurance rates? Yes. The market value of your car and the history of other drivers with the same make and model play a factor in your auto insurance rates. Certain safety features may not automatically qualify you for cheaper car insurance, but they can prevent you from getting into accidents, saving you money indirectly. Your insurance needs depend on the specific characteristics of your small business. For starters, not all industries face the same kinds of risks. The hazards a construction contractor may experience are often a far cry from those of a marketing consultant. Every business owner needs General Liability Insurance and Commercial Property Insurance, at the very least. If you own a small business in a low-risk industry, you may be able to cut premium costs by purchasing these fundamental coverages through a Business Owner’s Policy. Workman’s Comp Insurance, known today as “Workers’ Compensation Insurance,” is one of the few small business insurance policies regulated at the state level. Though where you live determines your insurance obligations, most states require employers to carry the coverage as soon as they hire their first employee. As you may already know, Workers’ Comp ensures your business can take responsibility for the occupational injuries its employees suffer. This small business insurance policy can pay for employee medical expenses, replacement wages, and your legal expenses if your work-injured employee decides to forgo benefits and sue your business instead. What happens if I dont carry Small Business Insurance for my Business? Though you may not experience a loss or lawsuit as soon as you open your doors for business, the reality is that you don’t know what the future holds. A devastating accident or disaster may be years down the road or just a day away. Plus, business insurance is a necessity if you need to get a business license or sign a commercial lease. 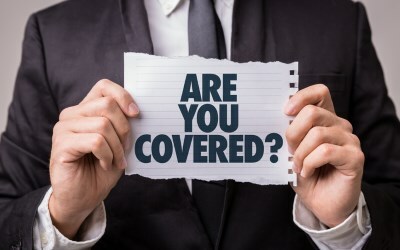 If you offer professional services, clients often won’t work with uninsured businesses because it leaves them no recourse if they experience losses as a result of your work.Finally, your state may require you to carry specific types of insurance, such as Workers’ Compensation Insurance (if you have employees). 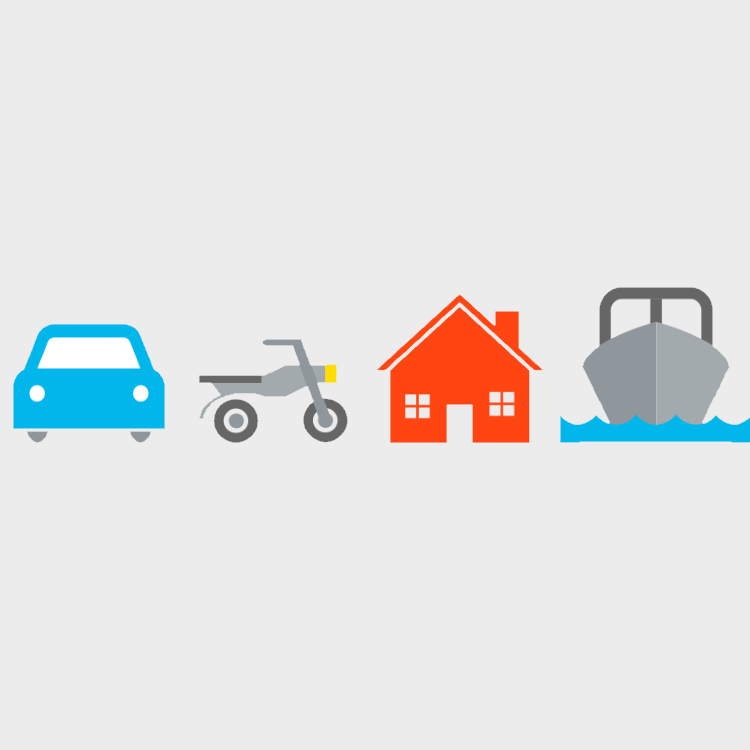 What hazards are typically covered by Boat Insurance? A standard boat policy typically covers damage resulting from a collision, fire, lightning, theft and vandalism, and it may cover losses even if they occur on land. Protection typically extends to the boat itself as well as things such as motors and attached equipment like anchors. Boat insurance generally also includes liability protection that may help pay for expenses you incur after an accident involving your watercraft. 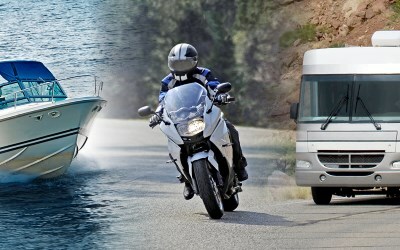 How much recreational vehicle coverage do I need? Your home state will have its own minimum RV insurance requirements. Your state’s Department of Motor Vehicles can provide details. Insurance requirements for motorhomes, trailers, and fifth wheels that are financed or leased can be different from the insurance required for a recreational vehicle that you own outright. So that you don’t have to pay the full cost of an RV that is involved in an accident or other claim, you may be required carry a certain level of coverage. Once you’ve paid for the RV in full, you may be able to change your coverage options to suit your preferences. 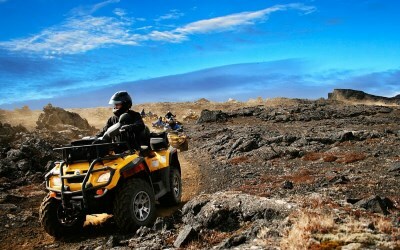 Do I have to insure my ATV? Unlike auto insurance, not all states require that you carry insurance on your ATV. However, many states do require some coverage if you are using your ATV on public land, in state parks or in public parks. Additionally, you may be required to purchase certain coverage if you are financing your all-terrain vehicle. USA Insurance, based in Ocala, FL, is a full-service Insurance Agency Company offering outstanding,insurance coverage in Ocala and all of Florida.